What is a dress watch? 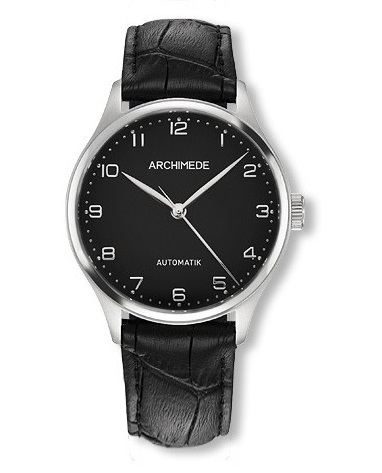 A watch that can be worn with a dinner jacket or other formal wear. Today, celebrities do what they like with the classic black tie format, but the rules still exist, and you can look good even with a suit that complies with the most rigorous standards. It’s as if the black tie outfit were designed to create the perfect frame for your own personality. The same applies to the watch. Even with certain rules, there is lots of room for originality expressing a quest for minimalist perfection. 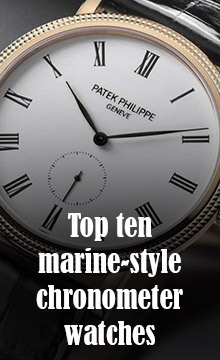 A dress watch is unusual in today’s world of watches in which the trend is towards drama. It should be sober, slim and undecorated. For this article, I have chosen watches that are hallmarked by simplicity, no date window, no colour beyond black, white and silver, and a thickness below 9 mm. Otherwise there is no way that it will slip under the French cuffs of a dress shirt. The watches are listed in ascending price order. 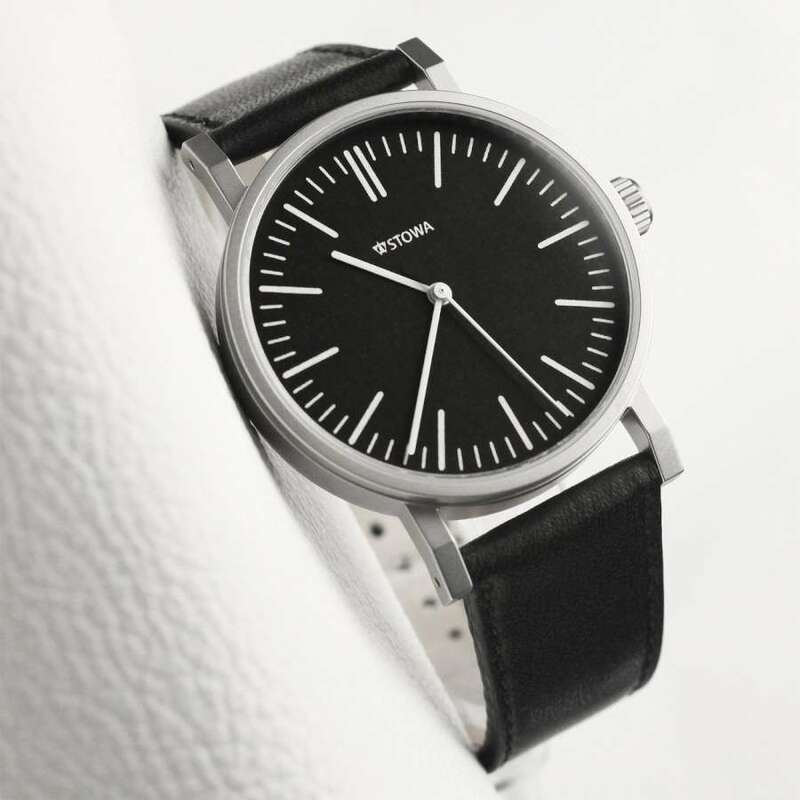 The D819.612 is a Chinese-made dress watch of Bauhaus inspiration, very similar to watches by Nomos. The case is in polished stainless steel, 39 mm in diameter, 8.5 mm thick, water resistance 30 metres. In order to achieve a low price, the watchglass is in mineral glass and not in sapphire. 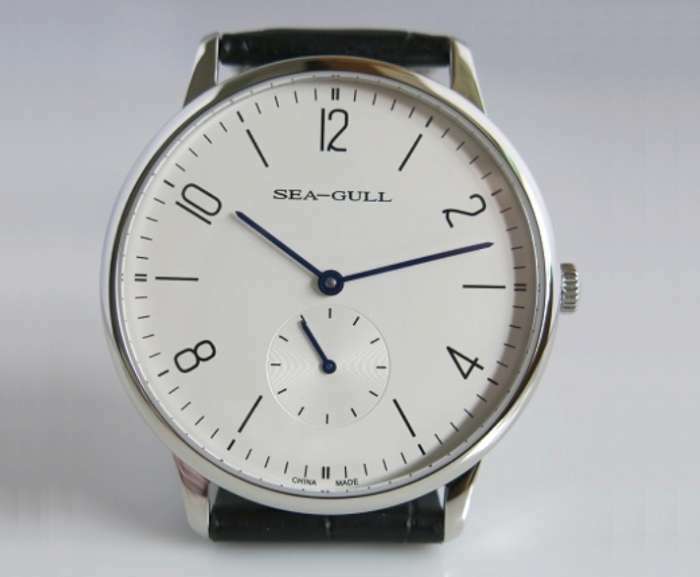 The watch is powered by a hand-wound Sea-Gull ST17 movement, not visible, with a solid caseback. Price $119. Available at this website. There will be lots of celebrations next year, 2019, of Bauhaus which was founded by Walter Gropius in 1919. Antea by Stowa is a perfect example of this minimalist style, with black or white dial (black dial with white markers, or vice-versa), a stainless steel case 39 mm in diameter and 8.2 mm thick, powered by the ETA 2824-2 self-winding movement. 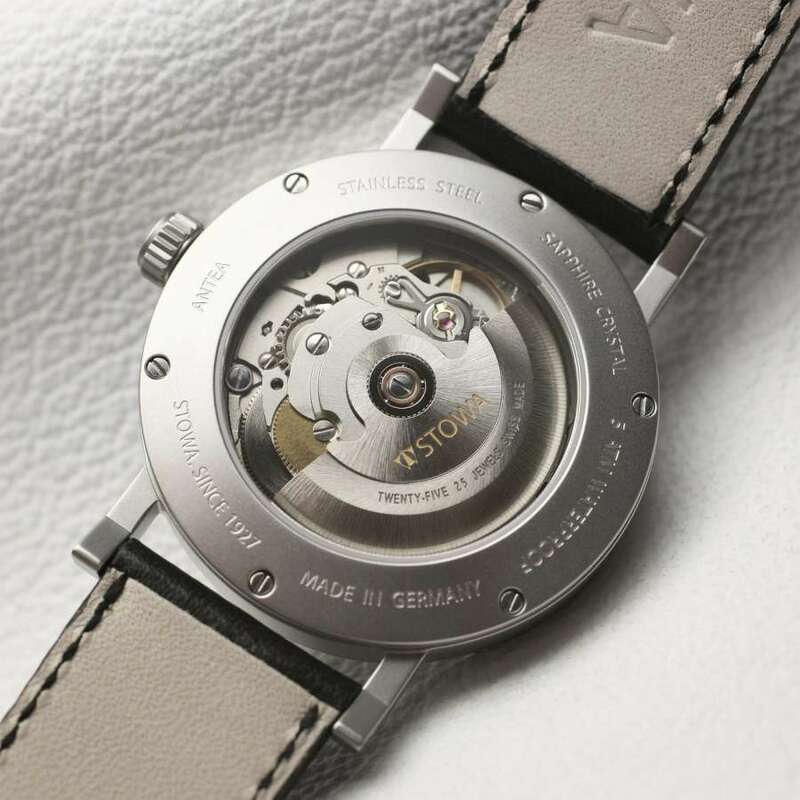 The calibre can be viewed through the sapphire caseback. 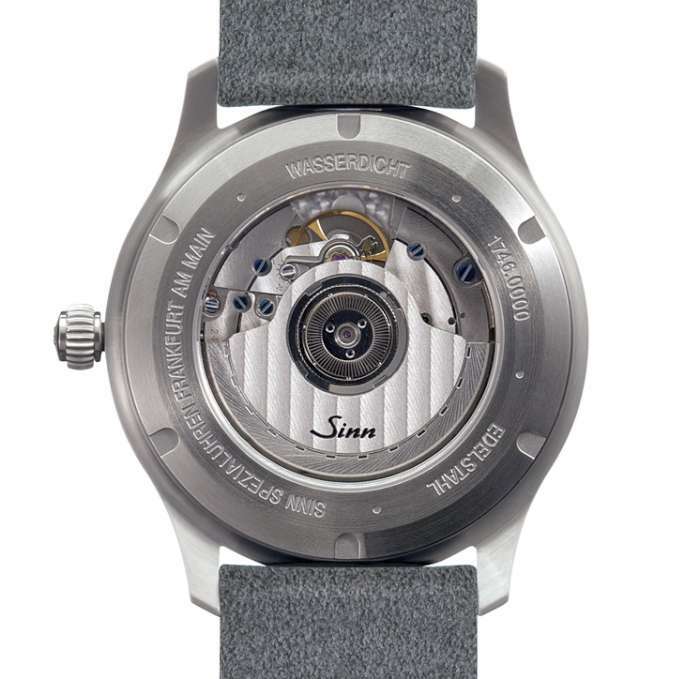 Water resistance 5 atm/50 metres, splash and rain-resistant. Available from June/July 2018, price €660. Read more on the Stowa website. 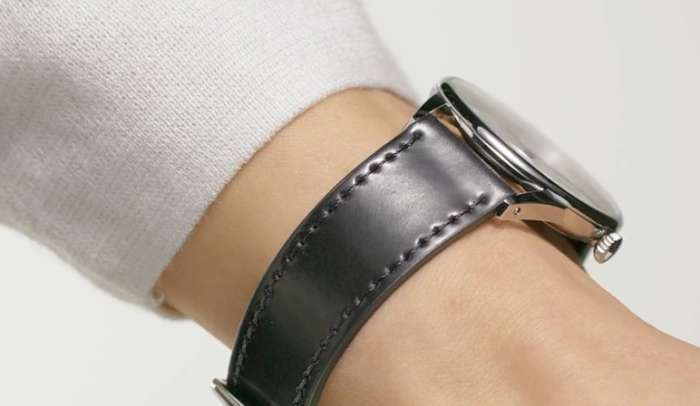 A stainless steel case with polished and brushed finish, 5 atm/50 metres water resistance, a unisex 36 mm case size, 9.3 mm thickness, a slim, unobtrusive crown, black leather strap with printed alligator texture. The Klassik 36 SW.LS has all the characteristics of a dress watch, and it is available with various dial colours and strap options. €660. It is powered by a movement by Citizen, probably the Miyota 9015. Read more here, or on the Archimede website. 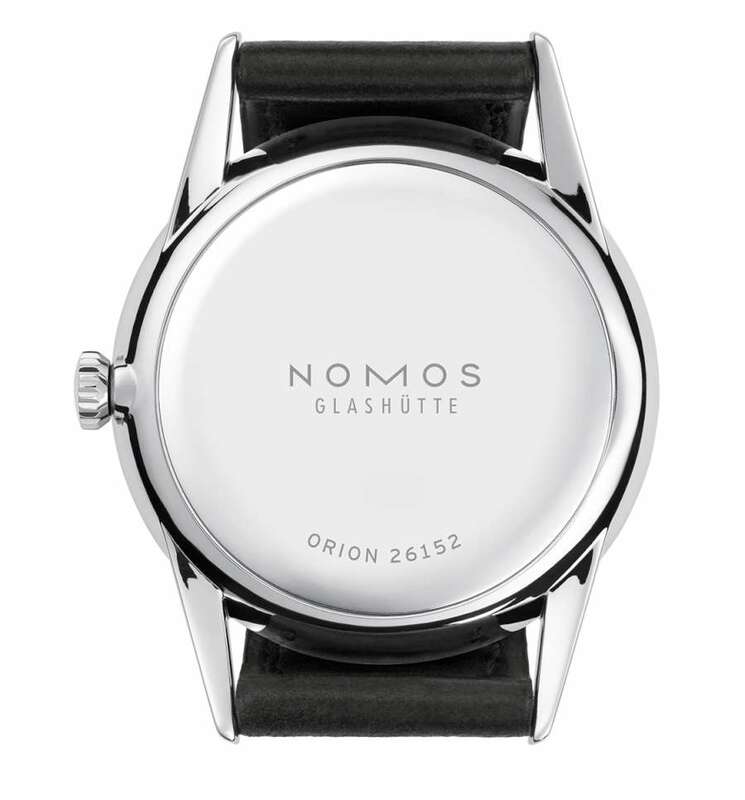 The Orion by German company Nomos Glashütte is 35 mm in diameter and just 7.4 mm in thickness, making it ideal for wearing with any shirt cuffs. 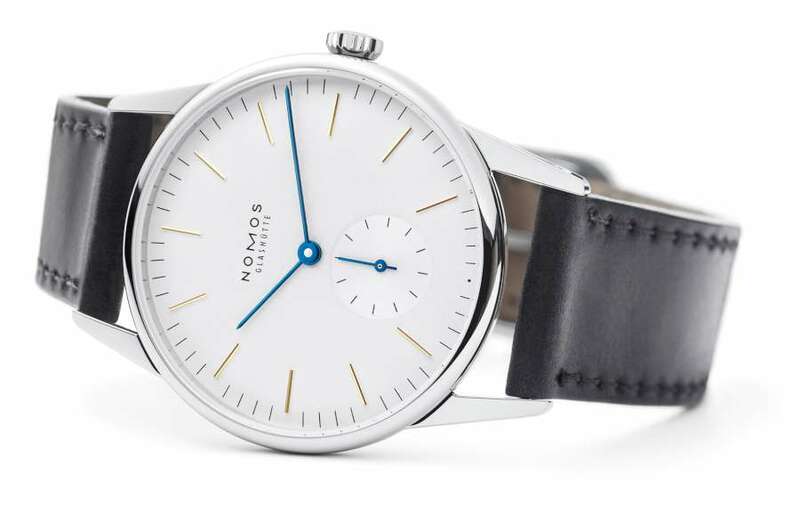 It has all the Nomos characteristics, the Bauhaus-inspired minimalist design, blued steel hands, white dial, steel case, and a strap in black shell Cordovan leather. Water resistance is 3 atm, splash and rain-resistant. It is powered by the hand-wound Alpha calibre, power reserve 43 hours, nicely finished though you don’t get to see it, because the watch has a solid caseback. It is reference 301, price €1,600. It is also available with a sapphire caseback, reference 309, thickness 8.69 mm, price €1,820. Read more on the Nomos website. 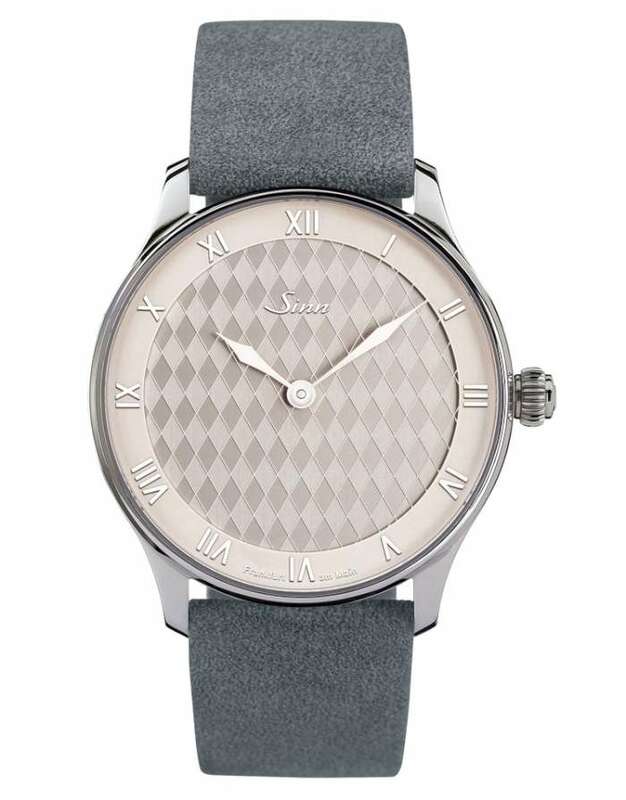 Heimat 1746 by Sinn has a rhodium-plated dial with a diamond pattern based on the cider glasses that are a traditional Frankfurt product. The name “Heimat” expresses a pride in one’s homeland and in this case, Sinn’s home region. The case is 42 mm in diameter and 9.4 mm thick. 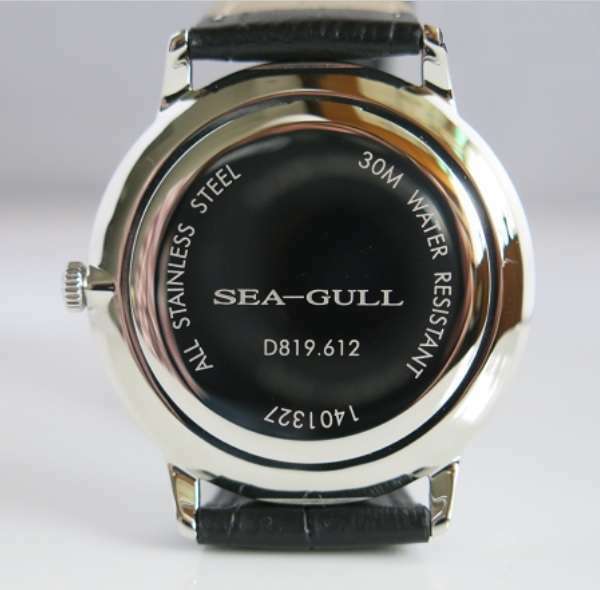 This watch also has a water resistance of 10 bar, 100 metres, and resistance to low pressure. The crown is not screw-in, but it is made using Sinn’s proprietary D3 System. 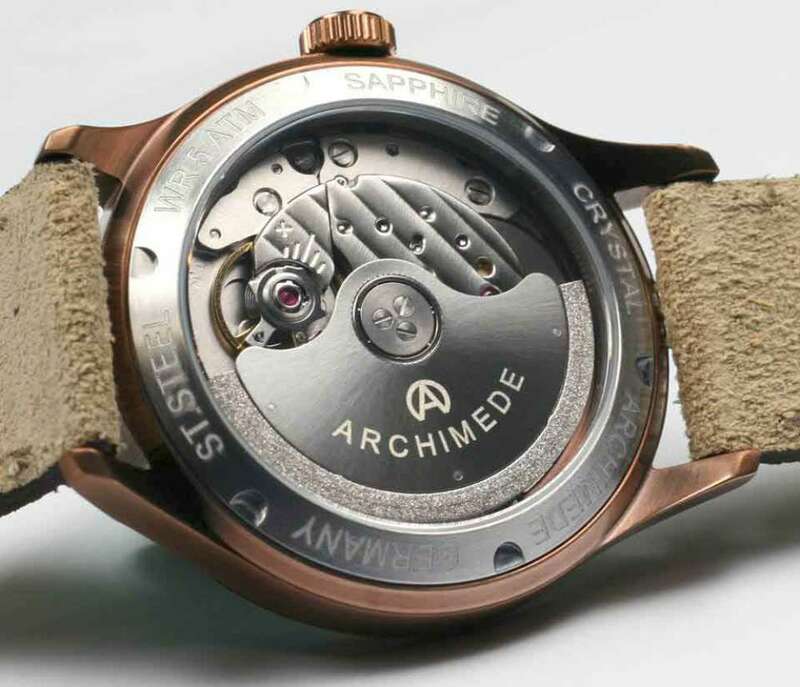 The caseback has a sapphire glass crystal and reveals the ETA 2892 movement. The watch has just hour and minute hands. A variety of straps are available, you can specify your preference when you purchase on Sinn’s website. €1,890. Which is the best dress watch? Hahahahahah aaah now I see my mistake! 5 mm water resistance! Thank you for pointing that out. You are right, it would have been a concern. I’ve now corrected that, so the resistance of the Archimede Klassik 36 SW.LS is 5 atm/50 metres.